The tour will make a stop in Portland, OR on April 27 at the Veterans Memorial Coliseum. On November 30th The 1975 will release their third album, A Brief Inquiry Into Online Relationships. 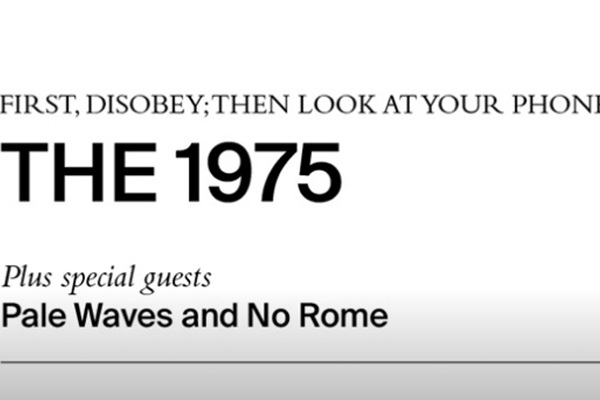 Fans can pre-order the album now through 10AM PST on October 24 at www.The1975.com for first access to a limited tour pre-sale. Tickets for the Veterans Memorial Coliseum show will go on sale to the general public Friday, October 26 at 10am at www.Ticketmaster.com. Trying to decide what to do in Portland? Check out events like this one, just a short distance from our downtown Portland luxury hotel. A stay at Hotel Eastlund means you’ll be across the street from the Oregon Convention Center, next to the Moda Center and close to the best destinations, restaurants and attractions Portland has to offer. Whether you’re here for business, pleasure, or looking for event spaces in Portland, we look forward to helping you discover this beautiful city.